www.fabriccarolina.com: Checkout our Outdoor Fabrics Collection! Checkout our Outdoor Fabrics Collection! Spring is in the air and with summer just around the corner, NOW is the time to spruce up your home with a new look! Perfect for outdoor drapes, patio cushions, canopies, awnings and such, we have over 600 new outdoor fabrics to choose from. Some of the fabrics can even be used inside...soft to the touch, durable and easy to clean. Checkout our outdoor fabric selections today!! Located in the “Fabric Capital of the World”, vast supplies of designer fabrics are plentiful and perfect for drapery and upholstery needs. Fabric Carolina offers the finest, first quality designer fabrics and the most popular patterns that are available today. 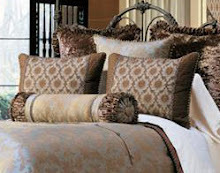 Our decorative fabrics will make an excellent addition to your home's character and style.